BANGI, 13 Oct 2010 – The Institute of Microengineering and Nanoelectronics (IMEN) of University Kebangsaan Malaysia (UKM) has forged international links as well as having collaborations with industries in its research work, its director, Prof Dato’ Dr Burhanuddin Yeop Majlis said. Among the foreign links are the Intervarsity Semiconductor Research Centre of Seoul National University and Kyungpook National University, both of South Korea, the Indonesian Institute of Science and Kyoto University of Japan. 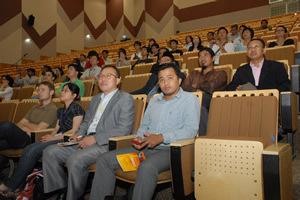 Prof Burhanuddin was briefing a delegation of 42 young Asian Nano scientists who were visiting the university on Monday. 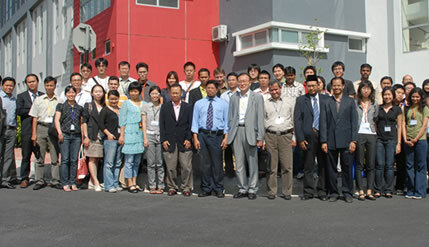 The young scientists and academicians from Australia, China, India, Indonesia, Iran, Japan, South Korea, New Zealand, Singapore, Taiwan, Thailand and Vietnam as well as from Malaysia were in the country for the second leg of their “Asia Nanotech Camp 2010”, which was set up under the ASEAN Nano Forum. They had before this, spent a week in Singapore under the programme that is jointly hosted by Singapore and Malaysia this year. South Korea will host the camp next year. They visited MIMOS Bhd yesterday morning and the Malaysia Genome Institute, Stroma and Xynergen Research, Heliks Emas and Granar Research in the afternoon. Prof Dr Burhanuddin said IMEN also has industrial collaboration work with MEMS Technology Shd Bhd, MIMOS Bhd, Telekom Malaysia Research and Development and the Malaysian Agriculture Research and Development Institute (MARDI). 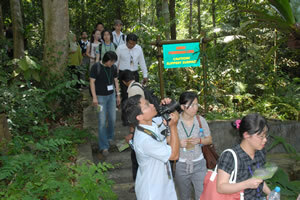 He also briefed the participants on the history and development of UKM as well as all the research areas of IMEN. Later, Prof Dr Weon Bae Ko of Sahmyook University, who is the leader of the camp, said research work in these areas would be enhanced with strong foreign collaboration. In the case of South Korea, the Government was also very supportive of such research. He found the UKM campus to be huge and green, and the facilities for microengineering and nanoelectronics to be “quite good”. Mr Ojas Mahapatra of the University of Canterbury of New Zealand said he found the camp to be a “vast learning experience” as he came across so many different people working in their laboratories. He found the location of the UKM campus to be “really nice” and the laboratories to be “really good”. On the of study of nanotechnology, he said whether it would turn out to be good or harmful to mankind would depend very much on the intention of the scientists. “It is an age-old question really…science depends on what man is using it for,” he added. 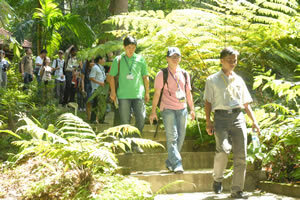 Mr Yi Du, a PhD candidate from University of Wollongong of Australia, found the buildings nestling in the forests of the UKM campus and research facilities to be “amazing”.